What games and artists served as your biggest inspirations growing up in Iran? My first encounter with video games was in my childhood when my father bought an Atari-2600 for me and my sisters; therefore the first games that casted a spell on me were titles like Pac-man, Donkey Kong, Keystone Kapers, etc. When I grew up and decided to be an artist I fell in love with 2D artworks, so most of the games that inspired me were 2D games. 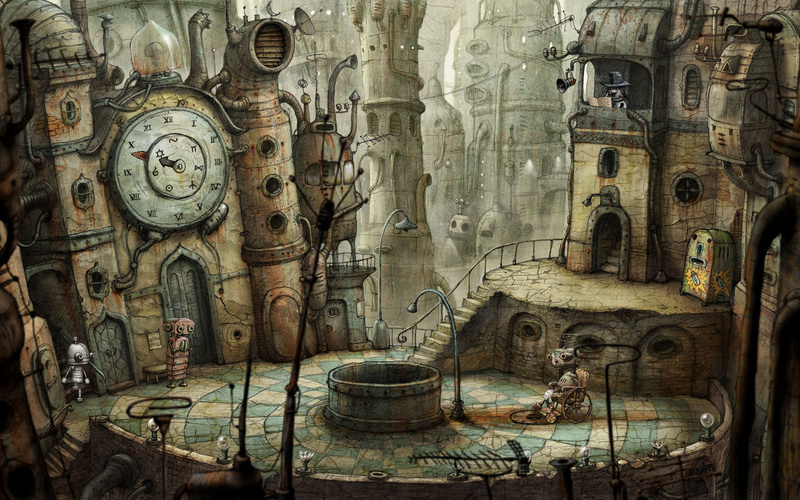 I can name Braid, Machinarium, Lumino City, and more that inspired me by both game design and art. Recently, I really enjoyed Inside and Overwatch. Overwatch is somehow a different game in my list, but I love the colorful fights. Miyazaki, Tim Burton and Sylvain Chomet are the artists in animation industry who inspired me the most and I always admire the atmosphere in their works. 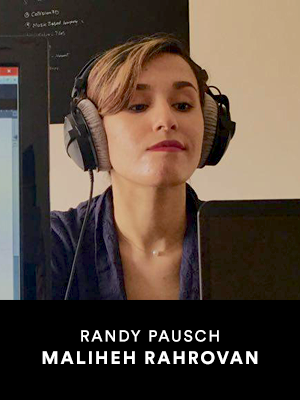 You spoke about your past game projects, Memoranda and Sneaky Run. These fall into very different genres within game design, so what is your favorite game genre, both to work on and to play? Yes - both games were my team’s first experiences in PC and mobile games. My favorite game genre is Adventure but I love to work on different projects and genres; for example the last project I worked on when I was in Iran, and that’s not published yet, is a minimal musical mobile game. I love adventure games the most because exploring the places and characters is my favorite part of gaming experience, but I don’t want to limit myself to one genre and I am open to every innovative project. Within art and animation for games, what are your favorite parts of the process and why? I love the whole process from sketching to creating the sprite sheets; but one of the most enjoyable moments for me is when we import the sprite sheets and audio files into the game engine and I can see my characters go alive on screen and react to our clicks. I am studying animation and it’s obvious that watching my characters move, talk and act is the best moment. Oh, I remember another favorite part of the process and that’s when I was told that other members added different plots and puzzles to the game because of my artworks and the elements I implemented into the scenes on my own. Although making a game is a really difficult and time-consuming process it’s one of the funniest and the loveliest works I can imagine. As a woman in the game industry, what are some challenges you've come across, and how did you overcome them? Fortunately, I worked with my friends in an indie studio and didn’t face serious challenges. One of the things that’s a challenge for a female in the gaming industry in Iran is the very few number of active women in games; maybe less than 5 percent. For example; I was the only girl in the team and sometimes I thought they didn’t take me seriously. The situation changed quickly as I showed my abilities and started expressing my thoughts clearly. With art as your flagship, how would you like to impact the game industry for the better? As there are lots of great artists in gaming studios today, I know it’s going to be challenging. If I can do something like what Amanita design did by making Machinarium I would be so happy. 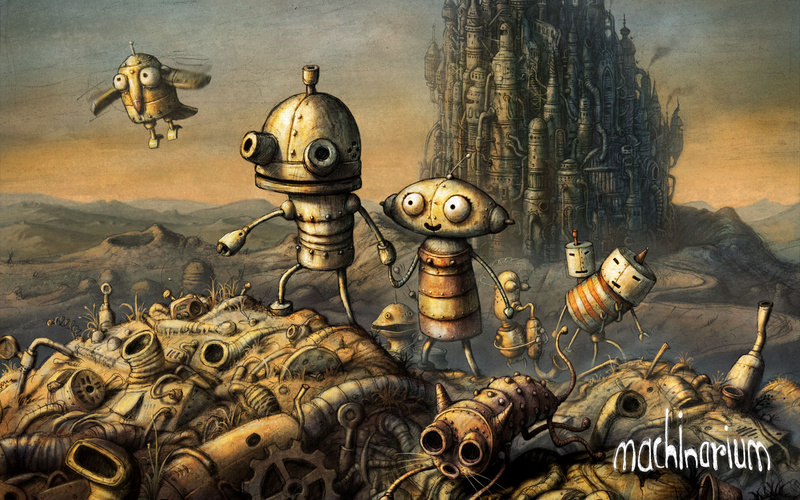 It’s not because of their creative and unique art style that I say this, but because Machinarium inspired lots of 2D artist including me, and led them towards indie game studios. Having an impact like this on people is one of my dreams. Also in a smaller scale, I love to have some kind of innovation in graphics that will impact the user experience while playing; as an example I could say something like the movement of the character in “Year Walk”. You spoke briefly about the impact games can have on our mental state both as creators and players. What are some of the themes, thoughts, and feelings you'd like to see explored in games as a medium? The games that arouse the players’ emotions and make them get their hands off the keyboard and think for some moments are my favorites. I am happy that VR technology is growing fast because it can plunge people into the virtual world in a stronger way. I love to explore deep human feelings that can’t be normally and in everyday life touched. For example as I came from the middle-east and the danger of war and immigration is an everyday issue I really love to show the discomfort of what lots of people feel in those region to many others around the world. Making players decide between difficult and challenging decisions is what I love to explore in my future games. By the way, I also have a very happy side in my character and like to spread fun in some of my works. After graduation, what is a dream game project you'd like to work on? My dream is to be an Art Director of an adventure game in a big studio like EA, Ubisoft, Telltale and etc. I love to create a Miyazaki-like atmosphere where animals and people have the main roles equally, and there is no definite evil, every character and storyline could change surprisingly. Can’t wait for that day. Return to the scholarship winners page. Copyright ©2016 AIAS Foundation All rights reserved.